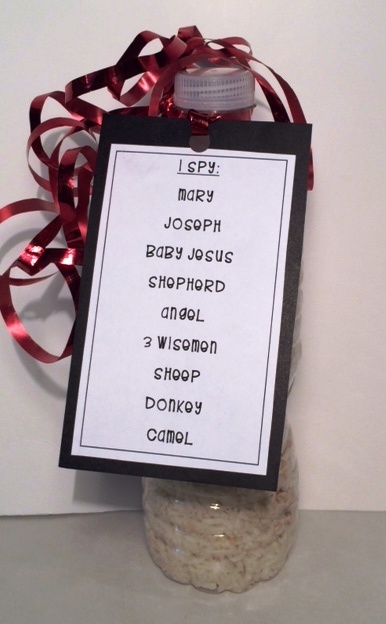 You can easily make a shake and seek I spy Nativity with some simple materials. Step 1: choose a small nativity. 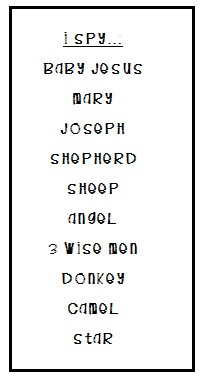 Other options are making your own nativity using shrink film (you can find it here). Follow the instructions on the package. Color your figures before you bake, and use a laser jet printer, otherwise your image will rub off! Step 2: Fill half of the empty plastic bottle with rice. 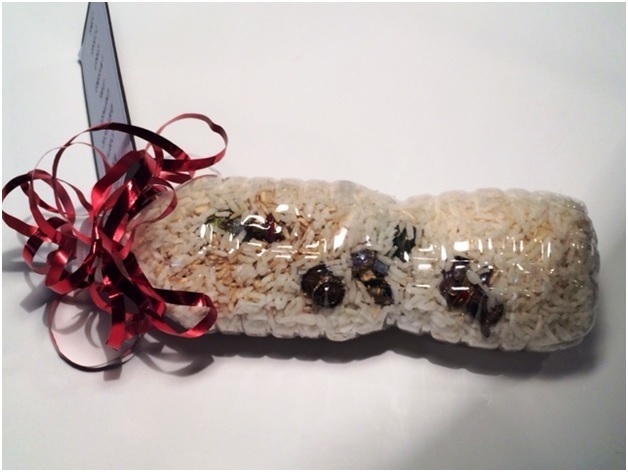 Step 3: Add your Nativity pieces and shake until the pieces are all mixed in well with the rice. Step 4: Fill in the rest of the rice, shaking occasionally so that the nativity figures get incorporated into the rice well. Leave about 1 inch of airspace at the top of the bottle so the rice has room to move around. Step 5: Place a thin line of glue around the top of the bottle, and immediately screw the lid back on the bottle. 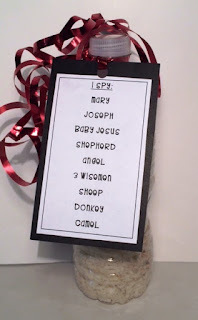 Step 6: Print out the i-spy Nativity List (add or remove nativity figures as needed - don't want someone searching for the camel if it's not actually in the bottle!) and tie it to the bottle. 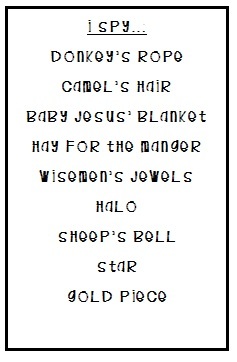 Have fun looking for each of the nativity figures by rotating, shaking and rolling your I-Spy Nativity. 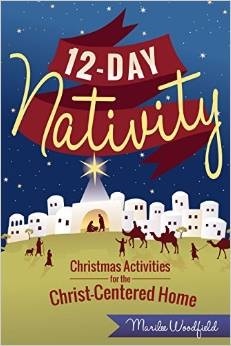 There are lots more fun nativity ideas and activities to be found in the 12-Day Nativity - available at Amazon and other book sellers on 10/13/15!